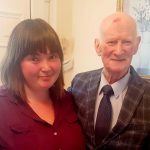 THE HomeShare (Together Helping Eachother) is an Irish company, based in Dublin, founded and run by Lucie Cunningham who has long experience working in the health care sector. It launched a homeshare programme in Dublin in 2017, with the aim of reaching the whole country in time. Homesharers must be at least 18 years old. THE HomeShare offers a personal matching service, where both householder and homesharer is interviewed, homesharers are vetted and both parties are provided with ongoing support.